Some weeks ago I have finally seen the band Maj Karma live. They are Finnish, of course, and I have started to listen their music a couple of years ago. Even with that poor knowledge of Finnish language as I had in those times, I was able to realise the band was featuring strong lyrics; well, now I understand lyrics of Maj Karma's songs without dictionary. There is a particular Maj Karma's song I really feel attracted to - and not because it seems to be an old hit. Again, it's the lyrics. The story of my latest play that I wrote back in 2006 and also my personal story. So, here I provide you with the translated lyrics. 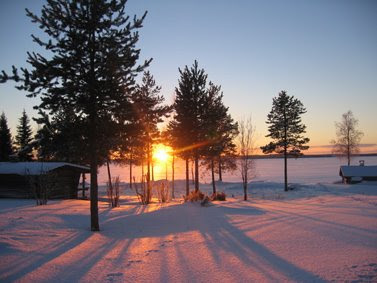 For better understanding you can also read this article about Sodankylä, the village in the Arctic Circle and then you can also enjoy Maj Karma's video. This is Sodankylä, full of wonders. Summer can be warm, but not up here. You stood still in the frost, I had to go. This is sad, so very sad. We were lovers of the Arctic Circle, only for some time. to the lover always somewhere up north. But does it really matter, well no, no-no. We are happy, everything is well-eh. Really beautiful posting! Very nice picture and pretty colors! Make sure you use real Cinnamon in your Coffee if you use it daily. 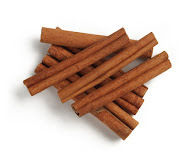 The Cinnamon sold to us in the US is actually Cassia. 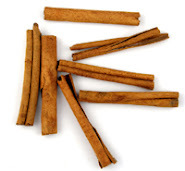 Cassia has 1250 times more coumarin than real Cinnamon.